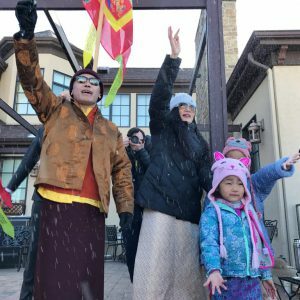 If you were unable to join the community for our New Year’s Celebration, here is a link to the Shambhala Day videos — including Sakyong Mipham Rinpoche’s International Address. Cheerful Year of the Firebird! “The Kongma Sakyong Mipham Rinpoche: A very good morning, everyone. [Assembly: Good morning!] You look marvelous. [SMR laughs; laughter] Can you see me? I would like to welcome all of you who are joining us online. We are in the moment of now. You can continue reading the transcript of the talk here.